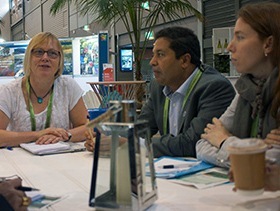 WIN delegates were invited to participate in the IUCN World Parks Congress held in Sydney, Australia, from 12 November to 19 November 2014. 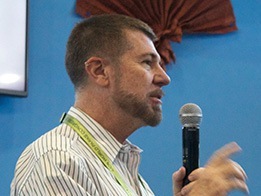 In addition to attending the conference, delegates were invited to attend a pre-conference workshop held in the Blue Mountains from 9 – 11 November. 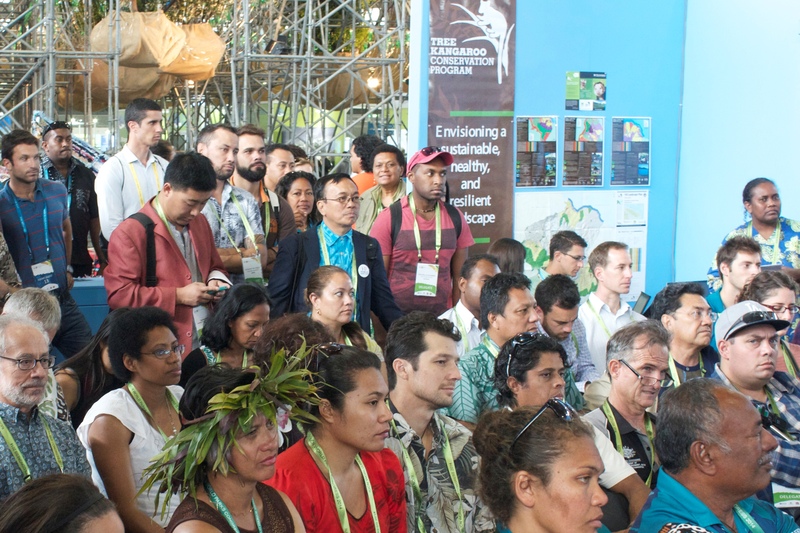 Follow the links below for individual coverage of activities at the Blue Mountains workshop and community dialogues held in the WIN & Pacific Pavilion at the World Parks Congress. 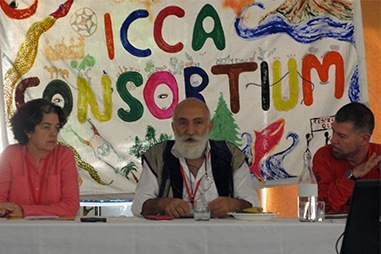 Managers of Indigenous and Community Conserved Areas (ICCA) from all over the world came together to share experiences in the “Gathering in the Gully” held in the Blue Mountains close to Sydney from Sunday the 9th to Tuesday the 11th of November 2014. The WIN was a partner to this gathering organized by the ICCA Consortium and other organizations. Community representatives shared experiences and mapped strategies to make their voices heard at the World Parks Congress starting right after immediately after the gathering. The meeting also served as the General Assembly of the ICCA Consortium, a reflection of the successes of past years and discussions to determine the future. 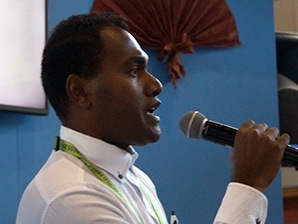 The session was a preparation meeting for local and indigenous community representatives to ensure maximum success of their participation in the IUCN World Parks Congress 2014. Representatives of 70 indigenous and local communities from around the world were present. Alejandra Pero, WIN Coordinator and Ruci Botei from IUCN Oceania, humbly welcomed attendees to the opening of the WIN & Pacific Community Dialogues Pavilion. Mikaela Jade from Paramodic based in Australia, commenced the opening by paying respect to the traditional owners of the land. Lucy Mulenkei, who manages the Indigenous Information Network (IIN) in Kenya, began the session by explaining how recent technology has been used to empower local and indigenous communities to track their lands and natural resources. This session reflected on three major conferences of the past few months, and discussed how they complemented one another. These include the UN Conference on Small Island Developing States , the World Conference on Indigenous Peoples and CoP 12 to the Convention on Biological Diversity (CBD CoP12). Mikaela Jade of Paramodic encouraged the audience to try to understand what types of data are being collected, by whom, and how indigenous peoples and local communities can retain ownership over the data collected. 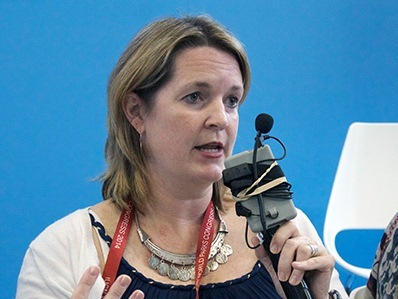 The session reflected on the progress made with the Durban Conservation Initiative on Human Rights, launched at the last World Parks Congress in 2003. The partners to this initiative have published a white paper to reflect on developments since the Initiative’s inception. A group of 30 participants met to better understand the range of definitions and key aspects of “resilience” at the community level. The interactive workshop was co-organized by UNDP and the Stockholm Resilience Center, and facilitated by Million Belay from MELCA, Ethiopia.